Even if it's Christopher Nolan ripping off The Matrix, I still want to watch this piece of plagiarism. Really? Inception and The Matrix are two completely different ideas. Sure they both focus on alternate realities however Inception is about entering someones mind and being able to steal information or place information into that person. Rip-off of The Matrix? No, not at all. It really doesn't matter if a movie rips-off another. Hardly anything these days are original. Also, The Matrix first ripped off Dark City so does it really matter? I wasn't even criticising the movie for being too much like The Matrix. Appreciate if you could go through what I wrote again. I was actually gushing over the fact that this is a new Chris freakin' Nolan movie, and I admire the hell out of this guy after Memento, Insomnia, The Prestige and the Batman movies, so even if it turns out to be a The Matrix homage, it would still be a damn freakin' great homage that would blow everybody's minds regardless. I'm sure as heck am looking very much forward to Inception! So, no need to defend the guy because there isn't anything to defend against here. I don't even know how to reply your rant there because I agree 100% on every one of your points! And next time, please read something twice through before shooting down someone. He could be innocent. Thanks for the comments anyway. Yo bro Lam! 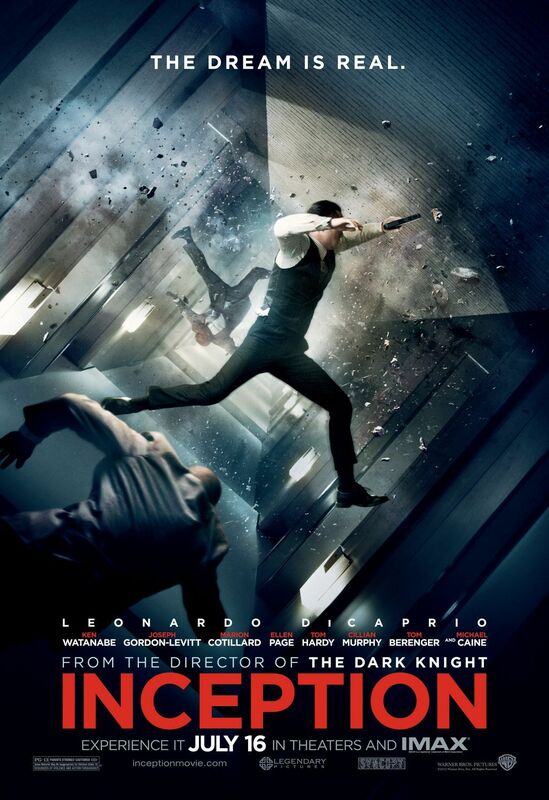 heard the review for inception is damn awesome. Going to watch it tomorrow, will comment on it later. it's a very interesting movie, but i didn't enjoy it though.